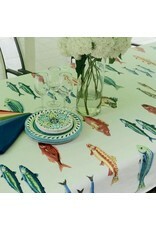 Vibrant blue, green, yellow, orange and red fish pop against a crisp white background. 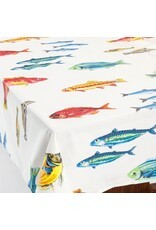 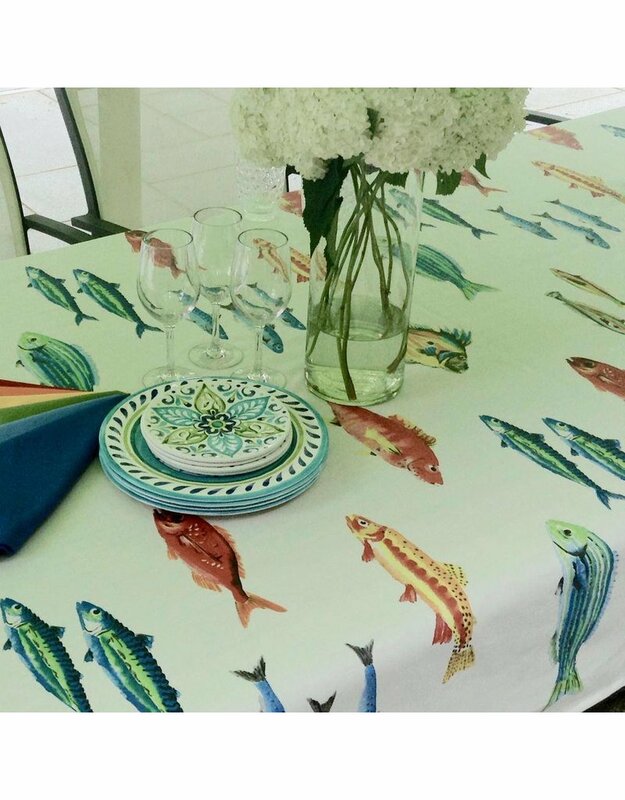 Our Calanques Fish tablecloth has been a best seller from the moment we added it to the collection. 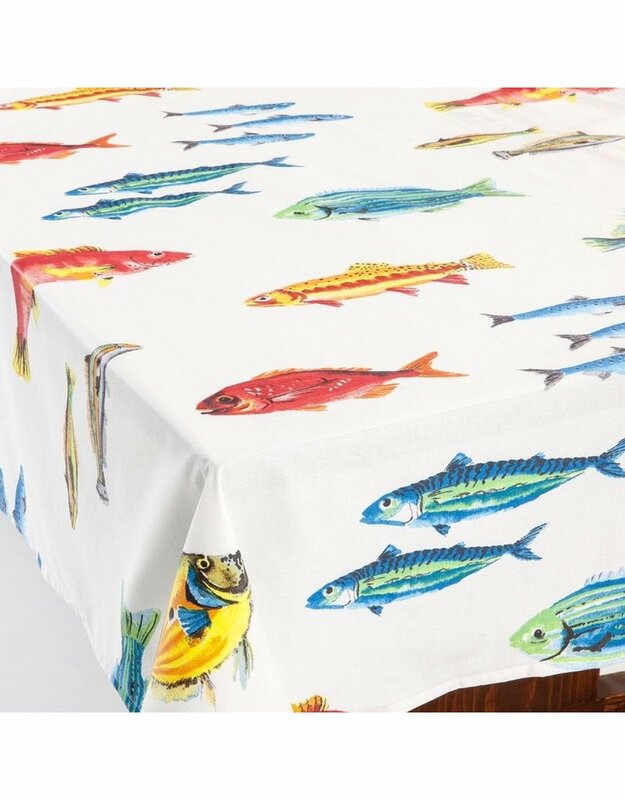 This fun, cheerful tablecloth if perfect for both indoor and outdoor tables.